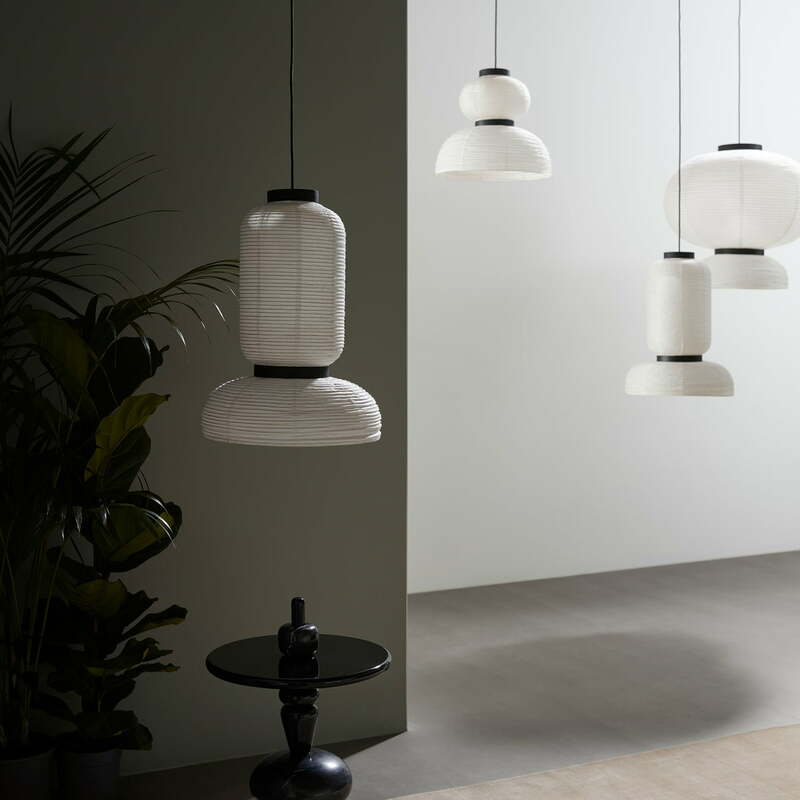 When first looking at the pendant lamp designed by the Spanish designer Jaime Hayon, one, it instantly recalls the traditional paper lanterns from Asia. And they indeed were the source of inspiration for the designer, who tried to translate the traditional charm of this lamp into a modern version. The lampshade made of rice paper is shaped with the help of oak rings. 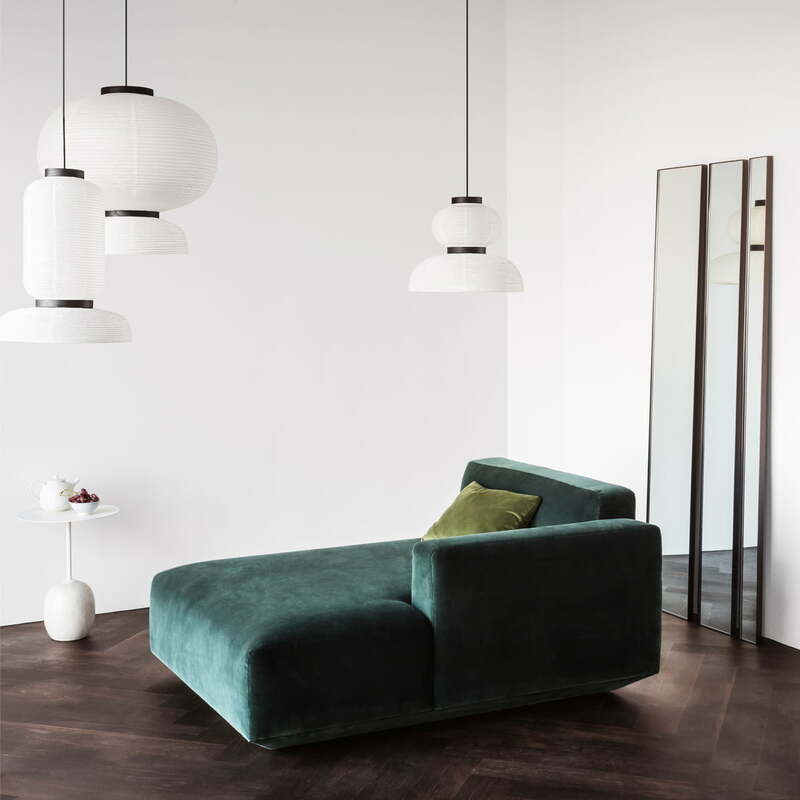 The mix of materials and the combination of the natural textures allows the pendant lamp by &tradition to look especially timeless, which allows the light in the Asian style to be very versatile and combinable. The JH4 is equipped with two sockets that offer different light outputs. While indirect, gentle light radiates through the closed upper body, the open lower body ensures a direct light distribution. Thus the JH4 is particularly well-suited as a light above a dining table or desk, since it brightly illuminates the surfaces below. The rice paper pendant lamps by designer Jaime Hayon are available in different variants. Individual image of the Formakami pendant lamp JH4. Made of rice paper and shaped with oak rings is reminiscent of traditional asian lanterns. A slight rigor and elegance, however, shows the Scandinavian impact.